This holiday season is right around the corner, which means a whole slate of amazing PS4 games are set to launch in the next few months, including Destiny (Tomorrow! ), Driveclub, NBA 2K15, Call of Duty: Advanced Warfare, Far Cry 4, and LittleBigPlanet 3. That means you’re probably going to be spending a lot of time with your PS4, right? This fall we’ve got a great lineup of new headsets and DualShock 4 colors to give you exactly what you need while you’re gaming. I personally can’t wait to play Destiny on the brand new Glacier White PS4. This new color is available exclusively as part of the Destiny PlayStation 4 Bundle which hits stores tomorrow, September 9th. Starting tomorrow, you’ll also be able to get the Glacier White DualShock 4 and the extremely limited edition Glacier White version of the Gold Wireless Stereo Headset, which will only be available for a short time while supplies last. We also have an exclusive Destiny audio mode that will be available via the free Headset Companion App for PS4 and PS3 starting tomorrow. Enjoy the sounds of the Destiny universe the way Bungie intended with this custom-tuned audio mode for the Gold Wireless Stereo Headset. I’m also excited to introduce the newest member of our headset lineup — the Silver Wired Stereo Headset for PS4 and PS3. This headset is packed with features — all for just $69.99 (MSRP). 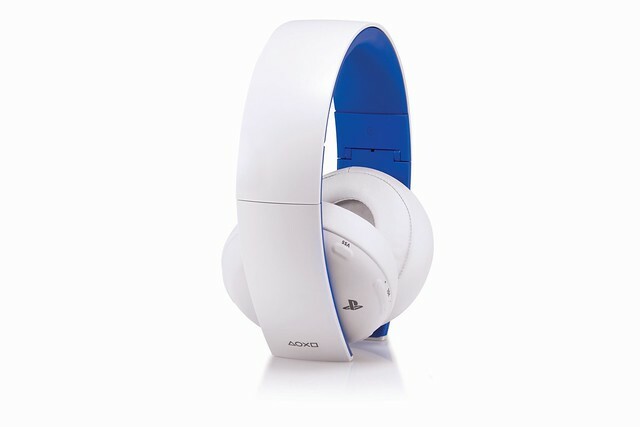 As with all PlayStation headsets, the Silver headset can be connected to a PS Vita (or many mobile devices) with the 3.5mm jack, ensuring you can take them with you wherever you go. The Silver headset will join the Gold Wireless Stereo Headset as part of the official PlayStation headset lineup later this fall, providing gamers with a choice of headsets and let them hear PlayStation games the way they were meant to sound. Need some more controllers to take on your friends? Pick up an additional DualShock 4 wireless controller in Wave Blue or Urban Camouflage (available now), or get one in Glacier White starting tomorrow. Make sure you call dibs on your favorite when your friends come over. Stay tuned for more information on the Silver Wired Stereo Headset, and let us know which peripherals you’re most looking forward to snagging this fall. Will the older Pulse Elite headset get the Destiny audio mode too? I hope the app update with the Destiny preset will come out before the game is out tomorrow and not late like they usually update. The plan is to release it tonight just in time for the title release. The Destiny settings will work with the Pulse Elite as well, correct? Wired? Jealous. My pulse elites last like 4 hours. Plus is wired wont cost me $150.00? one question… how does it connects to the ps4. with the usual 3.5 jack or to the usb on the console? if its to the 3.5 jack does the mic and the 7.1 work fine? 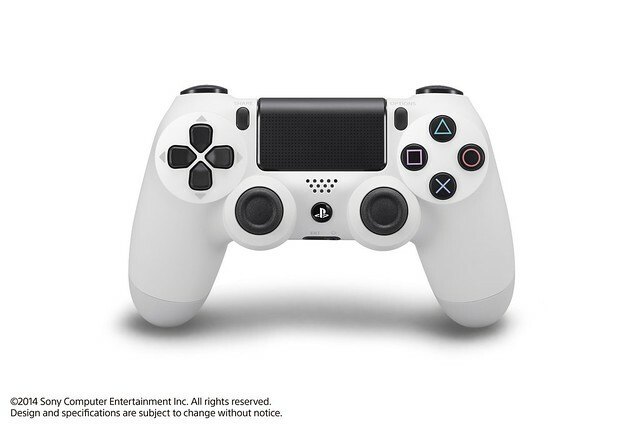 It has both options – Either you can connect to the PS4 using the included USB cable (When you connect this way, then you get 7.1 surround, custom audio modes, and headset notification on screen – basically special features with PS4/PS3). Or you have the option of directly connecting the headset using the attached 3.5mm audio cable to the audio jack on the DualShock 4 controller – the headset work like any other standard headset attached to the DS4 – the mic will work just fine but you will lose all the special PS4/PS3 features such as 7.1 surround. No bluetooth support? No buy. No thanks. So, what you’re saying is that these headphones are cheaper than a good PS Vita memory card. Great! Whatever happened to the red PS4 controller? Is that ever coming out in the US? Silver and gold wireless headsets are being made, is a Platinum one in the works? Nice to see new options for people, but I’m still happy with my PULSE Wireless Stereo Headset Elite Edition. Would I be wrong in assuming the Destiny sound profile also works for the Sony Pulse Elite headset? For all those asking about the Pulse Elite, the post states that the Destiny audio mode will be available via the free Headset Companion App for PS4. That is the same app the Pulse Elite uses. Awesome! cant wait to download the new audio mode for my current black gold headset, ill be able to hear everyones footsteps and gunshots from across the map from exact locations! and thank you for not making it an exclusive white audio mode! I will probably pick up a white controller, or perhaps wait for the red one. also please come out with new sides or customizable ones for the headsets! I did notice in TLOU the audio mode for that made the sound that much better, cannot wait! thanks again for making it come out before the game too! I don’t like the look of these headsets. I got a Gold headset this weekend and love it so far. I am happy to hear there with be a Destiny audio mode. Can’t wait until tomorrow! 1. If I plug this directly to my vita via the 3.5mm jack does it recognize the headset’s mic or it will use only the vita’s build in mic? 2. It’s the 7.1 sorround sound via usb pc compatible? 1. With Vita, it will recognize the headset’s mic. 2. The 7.1 surround sound can work with PC, however it will depend on title/video or application and you probably will have to download the right drivers or PC software to enable this. I cannot provide you lot of support here, but you can make it work if you get all the pieces in place on your PC. Dam! Please make it available in india as well! I’ve recently been in the market for a headset for my PS3 (along with my son’s PS4) and at $69.99, the Silver Headset is certainly an affordable option. One quick question – since it’s not cordless, how long exactly is the cord? Thanks! The attached 3.5mm audio cable is approx 4 feet long. This audio cable then attaches to the USB cable (with the in-line remote control at the other end) that is approx 10 feet long. So in total the cord is approx 14 feet long. 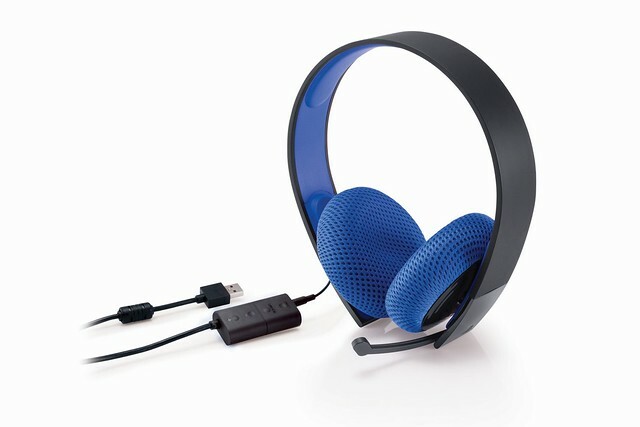 Will the Playstation Silver headset be compatible with PC? Give us headset with a good microphone, Gold one is terrible. When’s the platinum version coming out? I need to upgrade not downgrade. And I find the gold version to have a very weak range, especially compared to the elites of last gen. I love the golds, but feel they can be better. So again, any word on the platinum version?? Can we please get a wireless headset in the Gold range that has the breathable fabric instead of the sweaty faux leather junk? Hope the microphone quality is improved. I understand the Urban Camo DS4 is not available until October 7. I pre-ordered at Gamestop and that’s the date they told me it comes out. Yes, Urban Camo DS4 is only available at Walmart this month. It will be available retail wide including GameStop starting in October. BLUETOOTH! I want to be able to walk around wearing my headset!!! Loving my Gold wireless stereo headset so far, and I picked up the Wave Blue Dualshock 4. More accessory colors is always a plus! Here’s to hoping for even more colors (and maybe even colored vitas) in the future. Hey when will you finally give us the audio compatibilities we had with the ps3? I’m talking about sound via optical and voice chat through usb. You need to probably look for a 3rd party headset that operates with those connections. PlayStation headsets get both sound and chat through USB. My Pulse headset won’t get recognized by my PS4 nor my PS3. Would anyone know why? I’ve only had it for about 6 months. It should work. You should call customer service. Problem is why do you force me to buy a new headset instead of releasing a new firmware update to make old headsets work? I think you missed the announcement earlier this year, but old PlayStation Headsets that were released for PS3 (Pulse Elite headset and Wireless Stereo Headset) work with PS4 now. That firmware update has already been released, so if you have recently updated your PS4 then the old PS3 headsets should work. Anand Agarwal what is the differences between gold and silver headsets? First of all both Gold and Silver headsets support 7.1 virtual surround, allow download of audio modes to fine tune your game sound and are compatible with multiple-devices. Where they differ is that Gold is wireless vs. Silver is wired. Gold has hidden (built-in) mic vs. Silver has retractable boom mic. Gold has over-ear speaker design while Silver has on-ear speaker design. Gold’s is priced at $99.99 and Silver is at $69.99. 1. Wireless headset with a hidden mic (Gold headset). This allows for no need to manage cables in their living room and the hidden mic is more suitable when they use it on the go. 2. Wired headset with a boom mic (Silver headset). Many consumers perception is that a wired connection leads to low audio latency, and a boom mic will pick up their voice better. So with in the introduction of Silver headset, the PlayStation headset line can cater to the preferences of a much wider set of gamers looking for a high quality headset for their PS4. Does it work with PS3 and PCs as well? This headset looks Awesome!!! I’m a sucker for Headsets and Although I just purchased The Gold Wireless Headset..I’m still contemplating on purchasing this. For some reason The Ear cups on the Gold Wireless Headset hurts my ears..The Cushion on the Ear Cups looks comfortable. um the White DS4 has been out since like the 4th or 5th…… I got mine at gamestop last week…… after they tweeted the glacier white DS4’s were out. where can i order the white headset in europe/germany? They need to make a bronze version which looks like the headpiece that came with the PS4 but better for the cost of 29.99. Then they can start the Platinum which has the value of a turtle beach but cost 149.99 bucks. Then (as inFAMOUS First Light introduced) they can do a Diamond headset which comes with goggles and it will be 199.99 bucks. When will America get the official Sony Dualshock 4 charging station, this is ridiculous. We have waited patiently!